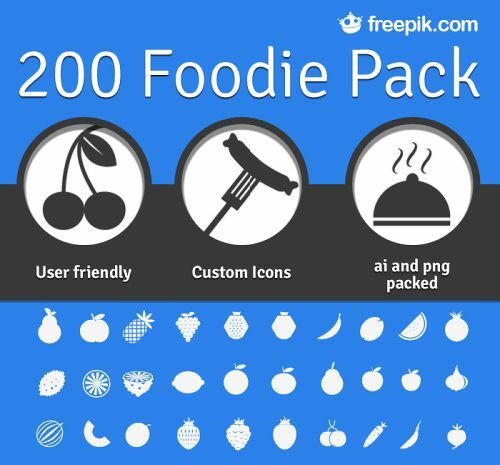 The good people at Freepik strike again, this time with a food related icon pack: 200 glyphs that will leave your mouth watering. As usual, the package comes in multiple formats: flat PNGs (ranging from 32x32px to 128x128px) and fully editable vectors (AI and EPS format). The serving is done in partnership with the prestigious Smashing Magazine and you don’t need to bother about any legal restrictions.